disclaimer: control freaks does not condone street drifting, any street drifting you do can and will be used against you in the court of darwin. asuka got me this while visiting a shrine with her friends last month. she said it’s to keep me safe when i’m in my car, i can use that! haha! pretty good shooting and editing. WARNING: there are some bikini skanks in the video, so uhh.. don’t watch it with your grandma or anything. the car drives alright, but i have to pull the bumper support back over to the driver side, so i can get the alignment back to normal. I wasn’t exactly sure what to write in this post, but i figure the vast majority of you are here for the pictures and not the text anyway, so what does it matter? 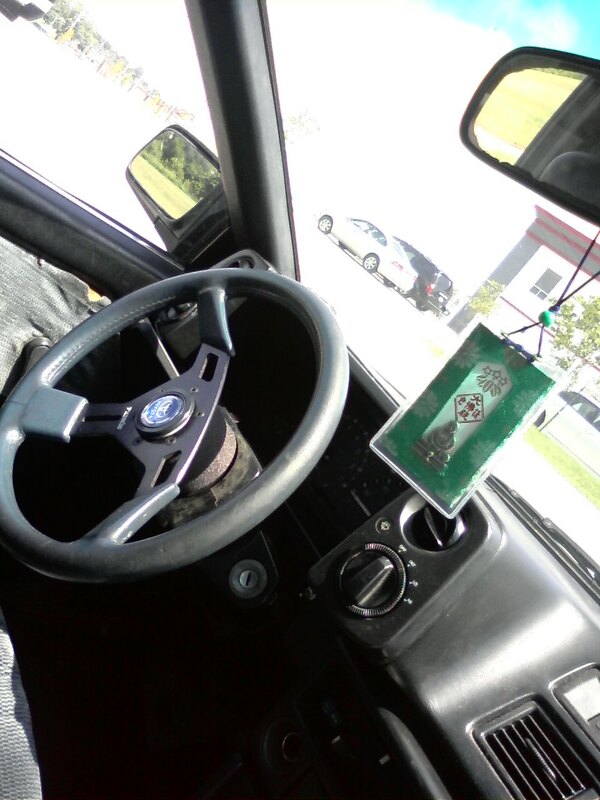 Here’s a good start – even if you are some kind of weirdo and RoughWorld style isn’t your thing, you should appreciate the wheel choice and fitment. If that doesn’t do it for you, i think you’ve arrived at the wrong address. 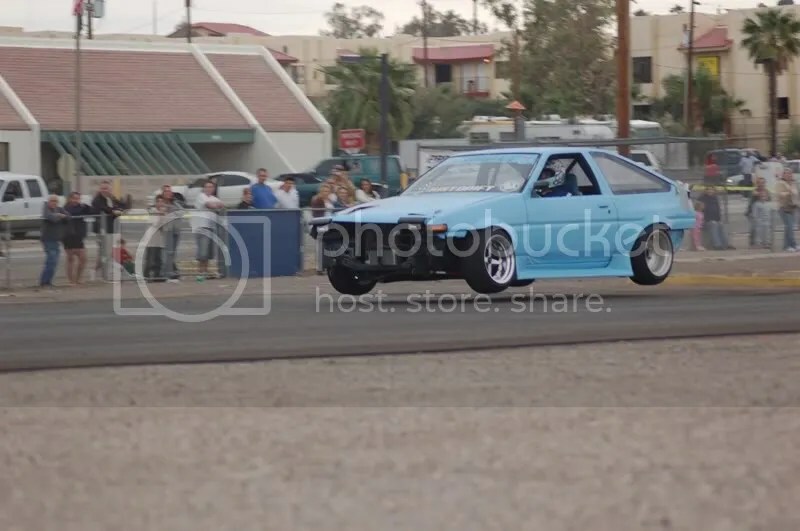 Everyone’s favourite AE86 enthusiast (I may be projecting slightly) and fabricator John Russakoff pulls a pancake in his (now turbo) F22C-powered AE86. If you’ve never seen pictures of this man’s fabrication endeavors you should follow the link on the image and look at the gallery. He’s the creator of Taka Aono’s BEAUTIFUL turbo manifold setup on the FA 4AGTE. For those of you that saw the above pic and thought “MOAR,” I’m only too happy to oblige. You should look up Russakoff’s rebuild thread before FD Vegas ’08. 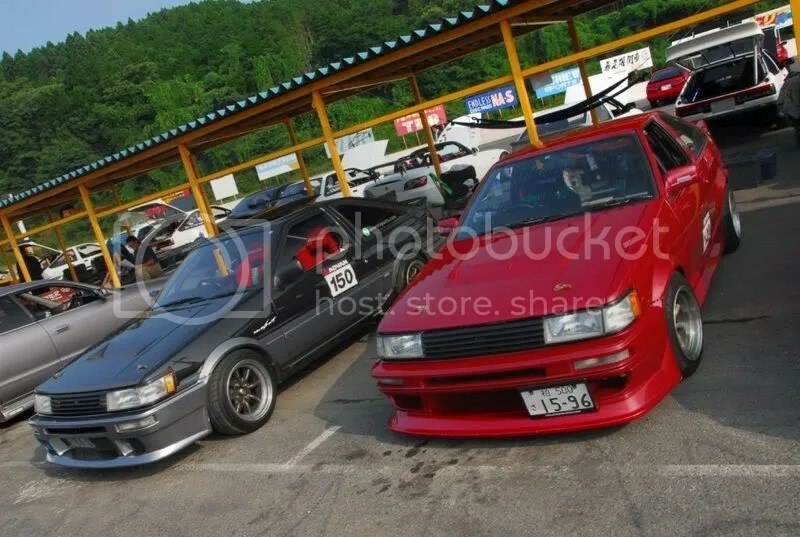 That man can create an AE86 out of what was previously not an AE86, and that’s a bloody feat. 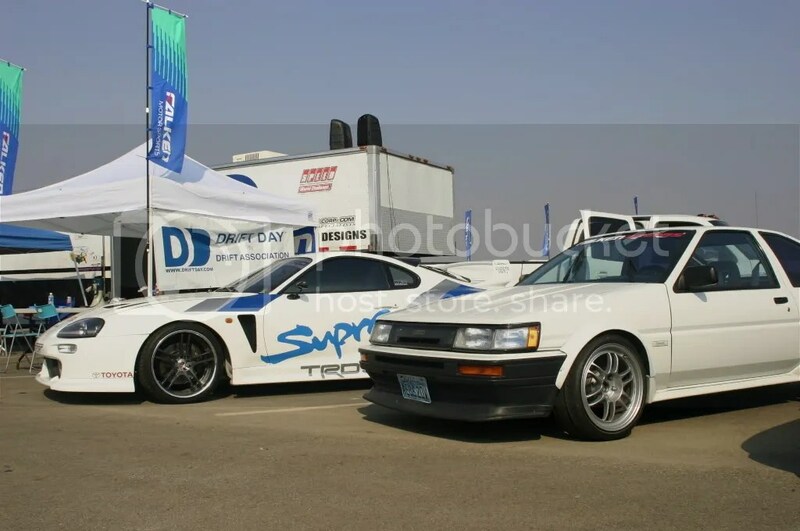 Here’s a pic from the JP track day that took place on August 6th last year, in celebration of 86 day. 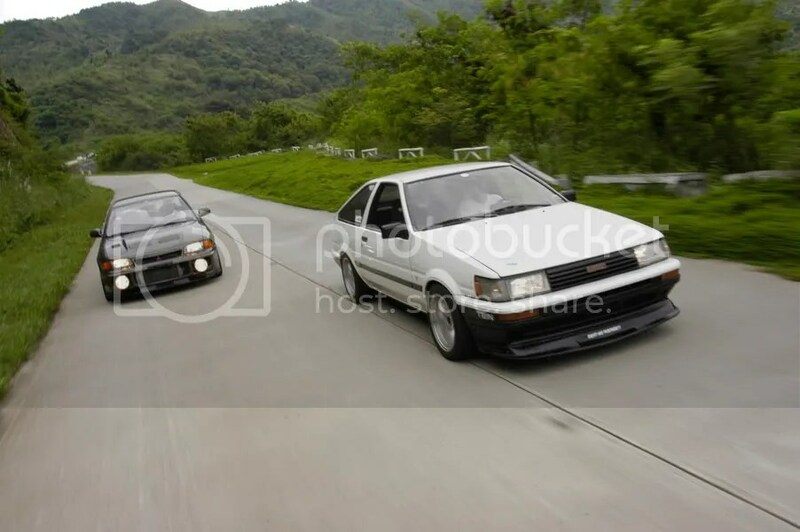 On the left is Miguel of Newera’s reverse gray panda AE86. I believe that car was built with the money he got from selling his S2k, and instead of dropping into his mortgage he went to Techno Pro Spirits and bought a motor. Unwise? I’d say AWESOME! Boro style done right. Notice the Azenis on the front of the one on the right. If old man Rhoad reads this – where the hell do you stock up on your Azenis, man? Hook kOOpA up, ’cause he’s been discovering grip lately and liking it a lot! RS Watanabe (or lookalikes thereof), no corner lights, no sideskirts – I like. The godfather of tsurai-chi [sp?] for Club4AG and former Speedhunter, Antonio, can school most anyone on offset. The man’s a Corolla legend as far as my opinion is concerned. I doubt he’ll ever come accross this post, but just in case he does – thank you, CG, for being awesome! I can’t wait to see what his next project will turn into. I think without him and his obnoxiously amazing archive of oldskool pics Speedhunters wouldn’t have gone half as far as they did. CBY levin. 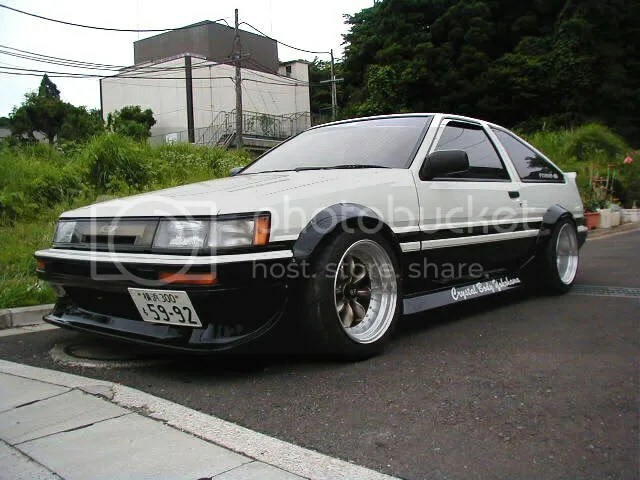 This was, for the longest time, one of my main inspirations when it came to AE86. Moto-P. There’s nothing I can say here that can possibly summarize how amazing that man is. 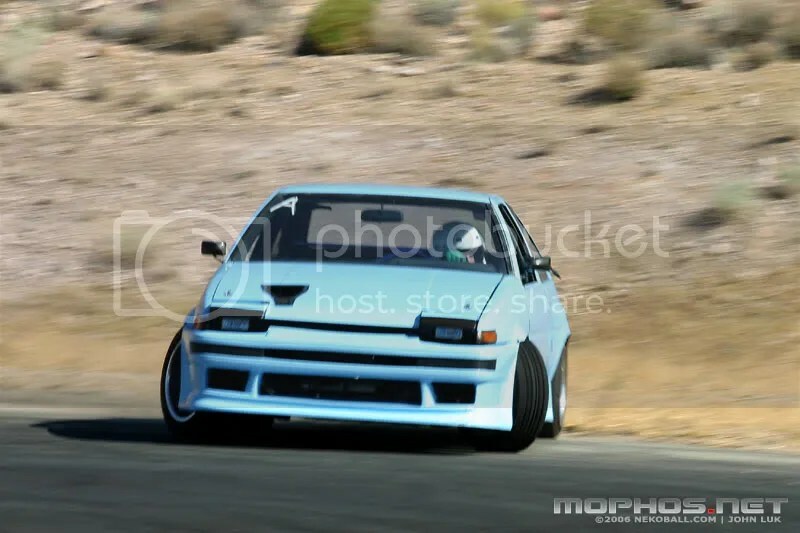 He is probably responsible for popularizing AE86s more than any other man in the USA. Owner and admin of Club4AG and one of the cleanest Levins evar. 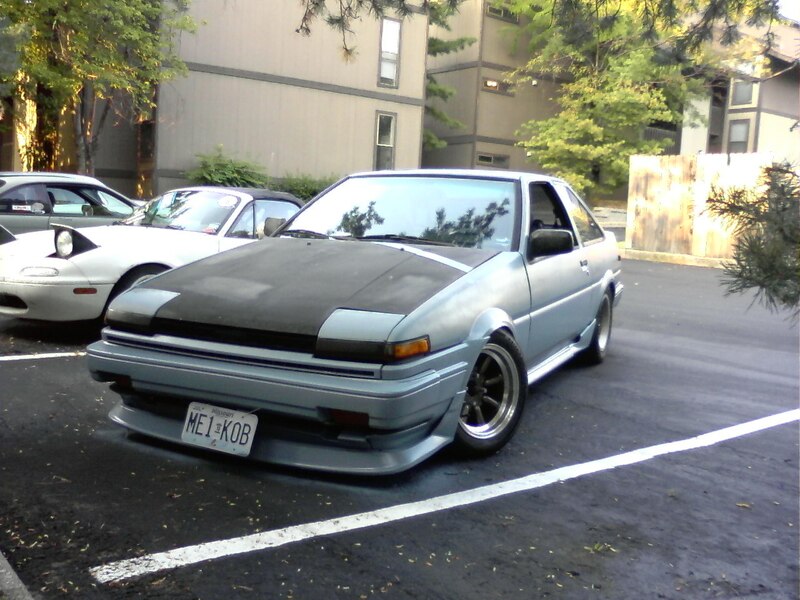 This is, I believe, a European AE86. Great shot. If you don’t like it, there are other websites you could visit. Wheel fitment - you have it or you don't. I can’t even flame the colour. 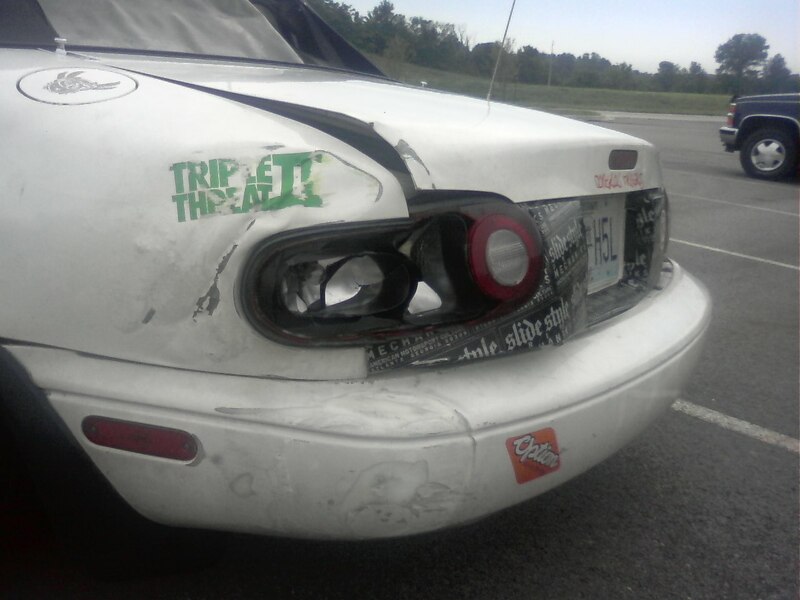 This car is inflammable. White is the ultimate colour for rims. SSR MKIs and TE37s – the guy has oldskool AND time attack on lockdown. 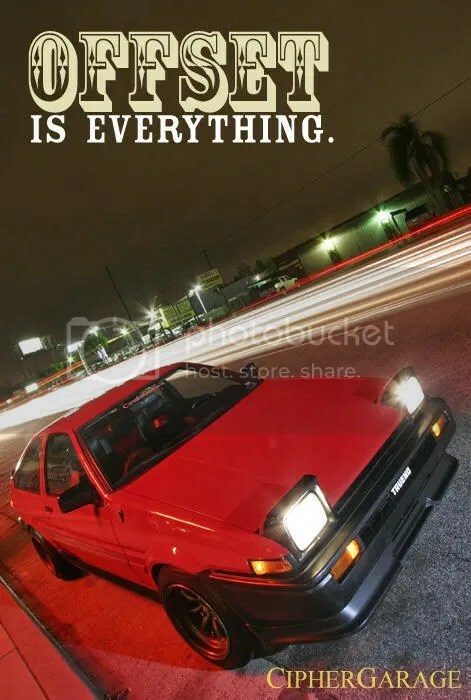 What to do with AE86. 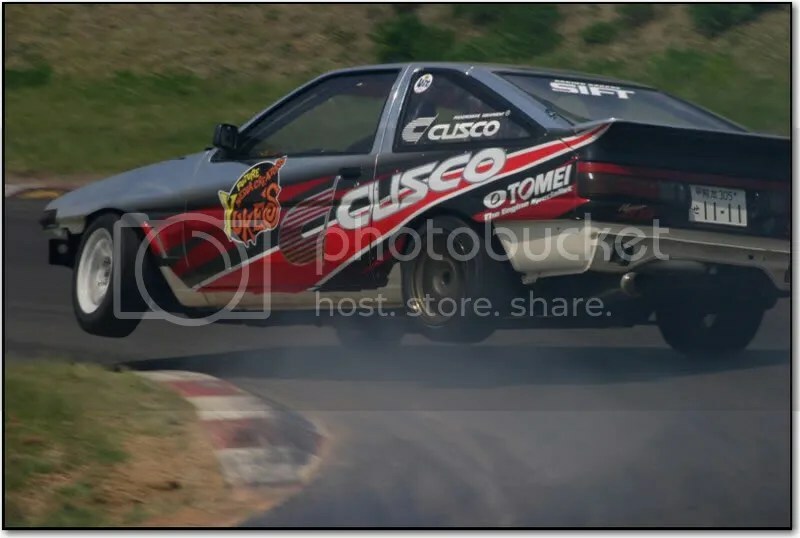 Katsuhiro Ueo in his practice AE86. You can try and hate on the no-bumper policy for practice vehicles, but if this shot doesn’t prove how much money that is saving him – nothing will. 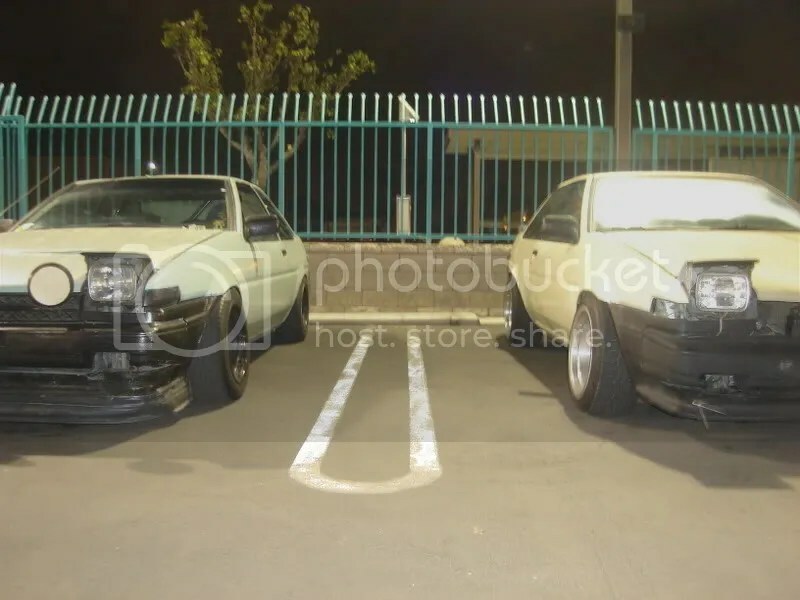 What not to do with AE86. In conclusion, I apologize for being lazy and hotlinking a bunch of pics from Club4AG, but I figured it’s better than nothing, and i really couldn’t afford to miss my debut post on 8/6. Looking at the clock right now, I see that I failed to, but I did my best. The Demon who makes trophies of man. Now go out there and be somebody!